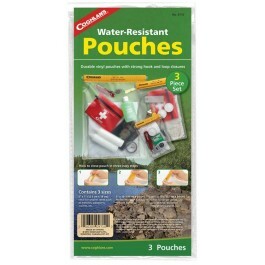 Buy Coghlan's Water Resistant Pouch Set - 3 PC , from Coghlan's Ltd for $8.49 only in My e-commerce. 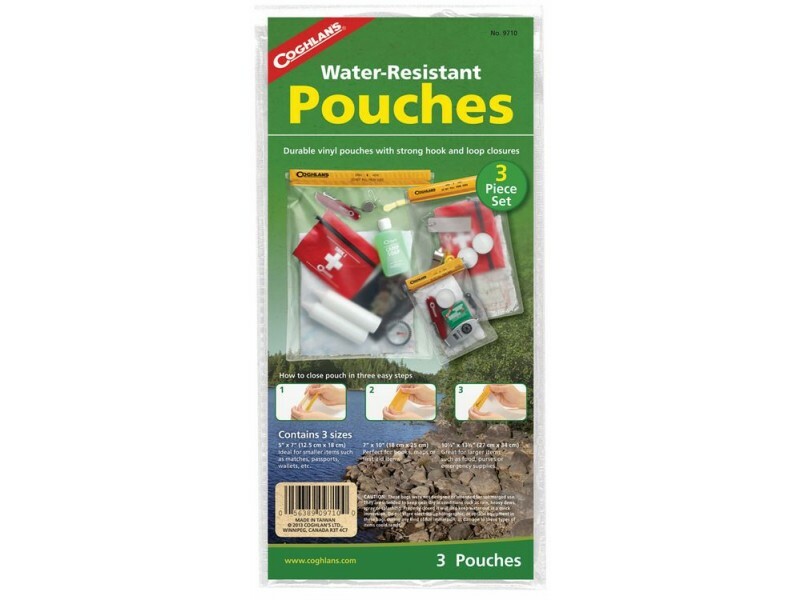 Coghlan's Water Resistant Pouch Set will keep your valuables protected from the elements with this three-piece set of durable vinyl waterproof pouches. Ideal for keeping your electronic devices dry at the beach or in the rain. 1. After enclosing your items in the pouch. use the seams as a guide to fold over the top of the pouch three times. 2. If folded properly, the two hook-and-loop strips will be aligned and facing each-other. 3. Firmly press the hook-and-loop strips together to seal the pouch. Caution: These bags were not designed or intended for submerged use. They are intended to keep gear dry in conditions such as rain, heavy dews, spray or splashing. Properly closed it will also keep water out in a quick immersion. Do not store electrical, photographic, or optical equipment in these bags as damage to these types of items could result. Coghlan’s will not replace or reimburse the value of the contents placed inside the pouch.